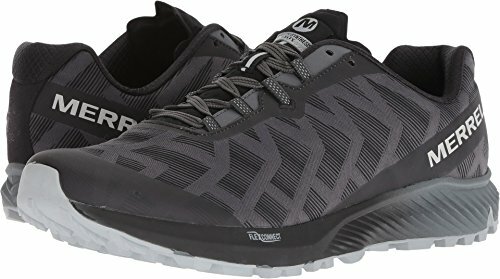 Trail running is all about tackling difficult terrain and potentially-intimidating challenges, and requires a performance-focused shoe with lightweight features. But it’s difficult to balance performance and comfort in a single shoe. That’s why these picks for best lightweight trail running shoes are so impressive. You get all the performance you need, the comfort you crave, and lightweight designs that keep your legs fresh. It is possible to find a comfortable and lightweight fit that offers the functionality you need when you’re traversing waterways, trekking up steep climbs, and cruising downhill. Fortunately, there are a few selections that top the list of best lightweight trail running shoes. With benefits like enhanced support, ample cushioning, and optimal grip for slippery obstacles, here are the top lightweight shoes for avid trail runners. 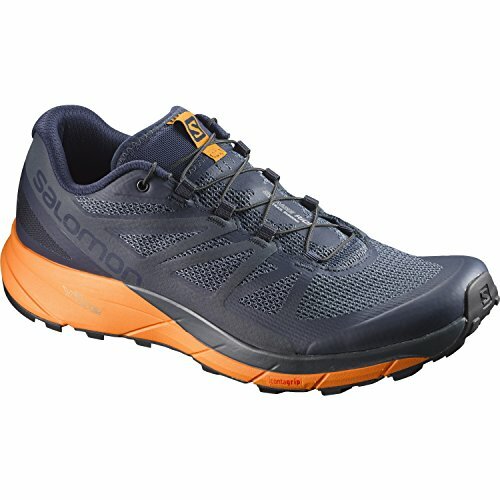 Ample cushioning pairs with premium traction for comfortable and stable runs with the Salomon Sense Ride. A relatively thick midsole and 8mm drop mean there’s plenty of play between you and the terrain, plus a wet traction outsole helps to dig in. However, the shoes weigh in at only 275 grams. Mesh uppers lend breathability, so your feet won’t be sweating. However, some wearers raise concerns about durability, with the mesh coming apart before the rest of the shoe shows any wear. The friction-free laces and Quicklace technology earn high marks. Sure, the outsoles look great for trail running, but what about the interior? Salomon uses the Endofit sleeve design with the Sense Rides, helping to cradle your feet in the right places. This tech also helps improve feedback and foot wrapping. Multiple technologies combine to create maximum cushion. Among those are Vibe, Opal, EnergyCell, and Compressed EVA materials. Overall, the combination of elements helps promote rebound, so you don’t lose energy on the return. At the same time, they reduce the impact as you run, helping to reduce the stress on your feet and entire body. 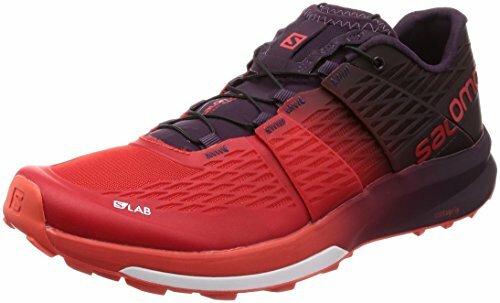 Salomon bills the S/Lab Sense Ultra 2 as an elite shoe for ultra distance athletes. The shoes cater to the needs of racers who run on mostly dry terrain in mixed weather conditions. And it’s true: the S/Lab Sense Ultra 2s strike a balance between feedback and ample protection from obstacles, along with a relatively low 9mm drop. The outsole is nothing new: Salomon’s wet traction grip sole gives racers the texture they need to navigate easily. But there’s also dual-density compressed EVA, along with the EnergyCell midsole compound. Together, the two materials create a high-rebound surface that helps increase your energy return while decreasing your body’s exposure to more jarring impacts. So it might come as a surprise to find out that the S/Lab Sense Ultra 2 only weighs 275 grams. You’ll also recognize the Endofit internal sleeve, the highlight of Salomon’s feedback system. The Quicklace system is a minimalist lace that’s easy to adjust no matter the conditions. And while there’s no measure of waterproofing, the breathable mesh dries quickly to keep you comfortable on damp runs. With upgrades following the rollout of the Superior 3.0, the 3.5 adopted a more durable upper that will keep up with the rest of the shoe. With light cushioning and a wide toe box, the Superior 3.5 is a top choice of minimalist trail runners. A zero-drop platform and 6mm contour footbed allow for feedback from the trail, but the EVA midsole and rubber outsole give protection against obstacles. Despite its breathable exterior, the 3.5 also has GaiterTrap tech to keep debris from getting inside the shoe. Although the Superior 3.5s lack the cushioning of Altra’s other offerings, the combination of their StoneGuard and Duratread outsoles mean you’ll be able to tackle rugged terrain and rocks. And while they appear bulky with the thick outsole, the Superiors weigh just 272 grams. 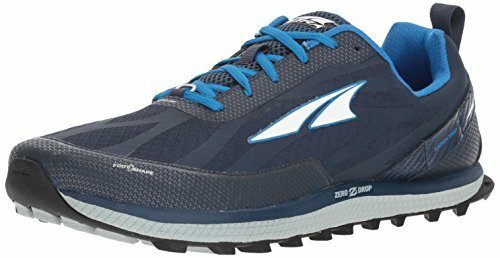 That’s under 10 ounces, making Altra’s contribution a serious contender for trail runners looking for light weight and peak performance. 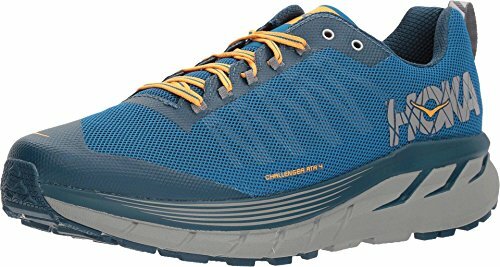 Another trail shoe with impressive outsole lugs is the Hoka One One Challenger ATR 4. You’ll achieve superior grip with the strategically-placed lugs, but it’s the improved durability that wearers truly appreciate. A large toe guard area, for example, helps prevent damage when you run into obstacles. With a stability rank of “neutral,” the Challenger ATR 4s accommodate a range of running (and foot) styles. A 5mm heel-toe drop supports a more natural gait, and while there’s plenty of outsole to absorb the force of the trail, the shoes weigh in at a flat nine ounces, or about 255 grams. While reviewers often note high expectations for each subsequent version of the Challenger ATRs, some changes, such as removing the tongue padding and holder, have become drawbacks in the latest offering. Still, for those new to the Challenger ATRs, or for those who didn’t like previous features, the 4 delivers a lightweight and “cloud-like” feel and quick-drying performance to keep you comfortable on the trail. A dynamic shoe that promises to accommodate both training and racing, the Sense Pro 3 weighs in at a slight 226 grams in smaller sizes and looks just as sleek. While the 3s have less cushioning than previous models – leaning toward a more minimalist style – this contributes to an overall lower weight that’s preferable on the trail. Still, you won’t be slipping and sliding around, thanks to Salomon’s Premium Wet Traction Contagrip outsole. That’s enough protection to make trail running worry-free, but not a big enough barrier to reduce the feedback you get while navigating the terrain. Plus, there’s a breathable mesh upper to keep you comfortable and dry regardless of the weather conditions. Salomon also uses their Endofit internal sleeve to help improve feedback and ensure you don’t experience chafing against the minimal in-shoe design. While there’s not much in the way of extra padding on the Sense Pro 3, there is padding in the tongue and collar for comfort. Plus, the trim textile insole and injected-EVA midsole help absorb impact. A removable footbed gives you customization options, but the foundation of the Merrell Agility Synthesis Flex is the flex-groove EVA midsole. It protects your feet while flexing to accommodate changes in road and trail conditions. Plus, an antimicrobial element helps prevent and reduce shoe odor. For rugged trail conditions, the M Select GRIP outsoles help you maintain traction. An additional protective pad provides further support. Plus, the FlexConnect material allows your foot to flex naturally, helping ease high arch discomfort while conforming to your feet. Even with the stability and cushion elements, each shoe weighs in at just 242 grams. One particularly unique feature in the Agility Synthesis Flex is the fact that they don’t use any animal products. Most running shoes are not vegan, but these are. Whether that matters to you or not, these shoes still boast industry-standard performance. 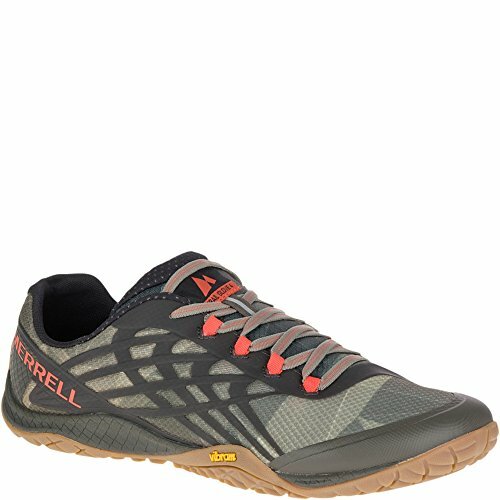 Keeping the style traditional, Merrell uses standard lace closures and a mesh upper, but their style choices are rather unique. Multiple color options are available, the highlight being an aqua-orange-yellow combination. The New Balance Minimus 10v1 is a new standard in minimalist running footwear. Vibram outsoles provide a flexible and responsive running experience. The upper combines synthetic and mesh materials for breathability, while the sole focuses on traction and durability so you can reach peak performance. Performance foam gives support without adding bulk, and thanks to the lightweight materials, the Minimus 10v1 weighs 212 grams. A midfoot wrap also aids in maintaining stability regardless of the terrain. Though New Balance makes no claims about water-tightness, wearers report some water-resistant capabilities. And while the primary goal is to keep you comfortable and stable on the trail, many wearers put their Minimus 10v1s to work both before and after their runs. With all the rave reviews, however, also comes the highlight that the Minimus line runs about a half a size too small, according to multiple reviewers. 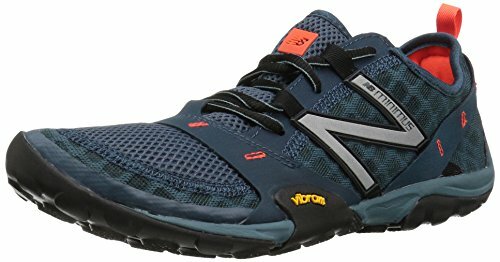 Sized correctly, though, wearers report a decline in both knee and arch pain – a credit to the supportive nature of these New Balance trail shoes. While the mesh lining and breathable upper are nothing new, the Vibram TC5+ outsole is a notable added component of the Trail Glove 4. Included in the shoe’s 230-gram weight are TrailProtect pads for underfoot protection, and a sock-like feel with light cushioning. The barefoot shape means a zero-drop footbed along with the high-performance rubber sole, allowing you to feel feedback from the trail. Plenty of ventilation makes the Trail Glove 4 usable in a variety of conditions, and the Vibram sole keeps its grip even in wet environments. The lugs on the soles, measuring 3mm, are small enough that the Trail Glove 4 can be worn on varying terrain, even roads. 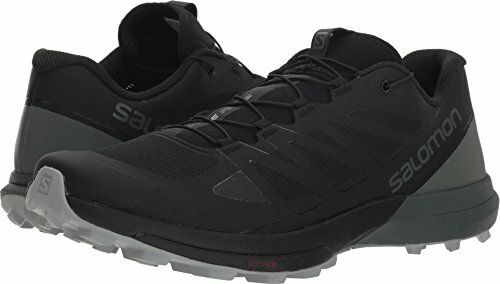 And while the shoes keep with most minimalist styling aspects, reviewers who are unfamiliar with the TrailProtect pads may feel there’s too much support for a zero-drop shoe. Similar to other Merrell offerings, the Trail Glove 4 is also a vegan product, meaning it doesn’t use or contain any animal products. The “VK” in the name stands for Vertical Kilometer, referencing a particularly gnarly racing discipline (how quickly can you gain 1,000m elevation?). And LaSportiva definitely delivers on this reference. More than just a trail running shoe, this is a mountain running shoe. A snug-fitting upper feels like a sock – that’s even what LaSportiva calls the tech – and uses a single, interconnected fabric piece. The result is a comprehensive fit that feels weightless. 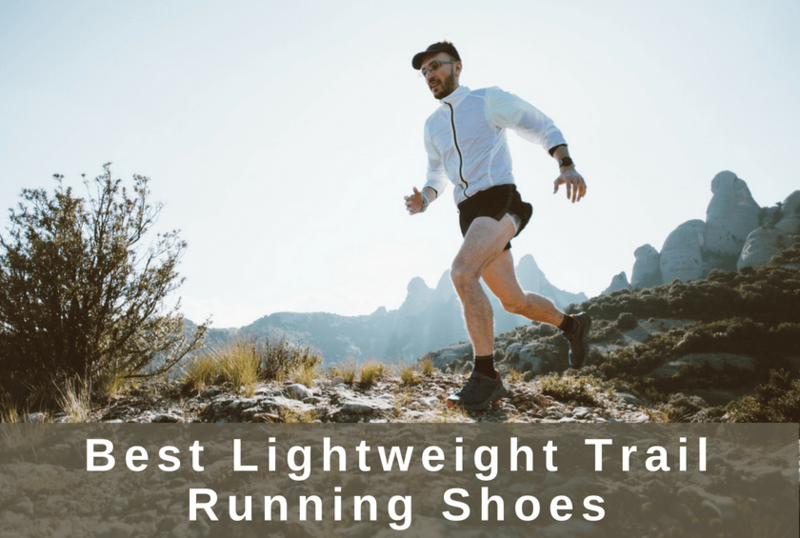 Of course, 200 grams isn’t exactly “weightless,” but it’s light enough that the VKs are significantly lighter than the rest of our top picks for best lightweight trail running shoes. The overall volume is kept low with the “sock” upper, but stabilizer panels and a protective toe cap will keep your feet optimally positioned and protected. The midsole uses compressed EVA with rock-guard, so you don’t have to worry about sharp obstacles affecting your run. And, at only a 4mm drop, the VKs rank alongside top minimalist-style trail shoes. 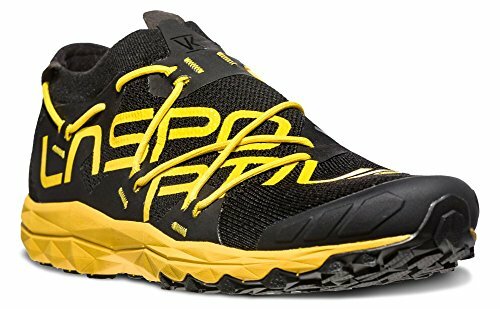 For a high-performance trail shoe that focuses on the vertical aspect of the run, you can’t go wrong with LaSportiva’s VK.